Based on real historical events. A time for vengeance AD 9, German frontier: Close to the Rhine, a Roman centurion, Lucius Tullus, prepares to take his soldiers on patrol. On the opposite side of the river, German tribes are resentful of the harsh taxes about to be imposed upon them. Suspicious that there might be unrest, Tullus knows that his men's survival will be determined not just by their training and discipline, but by his leadership. What is WITH that music? Wasn't Expecting to Like It- BOY! was I wrong!! 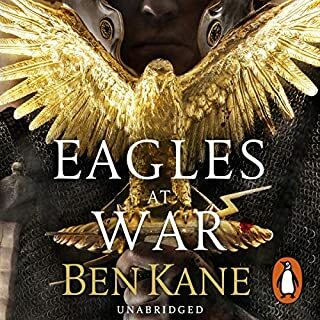 Beobrand is compelled by his brother's almost-certain murder to embark on a quest for revenge in the war-ravaged kingdoms of Northumbria. The land is rife with danger, as warlords vie for supremacy and dominion. In the battles for control of the region, new oaths are made and broken, and loyalties are tested to the limits. With no patronage and no experience, Beobrand must form his own allegiances and learn to fight with sword and shield. Relentless in pursuit of his enemies, he faces challenges which transform him from a boy to a man. In the First Punic War, the Roman legions defeated and humiliated Carthage, their only serious rival for power in the Mediterranean. Now a brilliant young Carthaginian general, called Hannibal, is out for revenge. 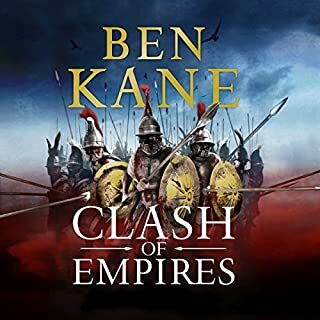 Caught up in the maelstrom are two young boys, Hanno, the son of a distinguished soldier and confidant of Hannibal, and Quintus, son of a Roman equestrian and landowner. A disastrous adventure will see Hanno sold into slavery and bought by Quintus's father. Although an unexpected friendship springs up between the two boys - and with Quintus's sister, Aurelia - the fortunes of the two warring empires once again separates them. They find themselves on opposite sides of the conflict and an alliance forged through slavery will be played out to its stunning conclusion in battle. brilliant outstanding incredible can't say enough. a great story narrated exceptionally now for part two. Great Story and very well told! Narration is excellent my favourite by far! I always look for him when listening to audio books. Great tale as well! 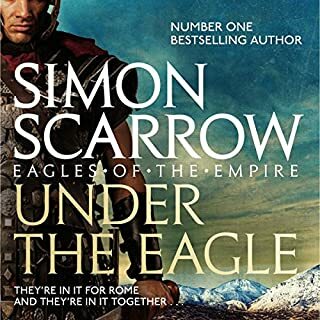 An interesting start showing different sides of Roman life, how a high born man can accidentally become a slave of Rome. 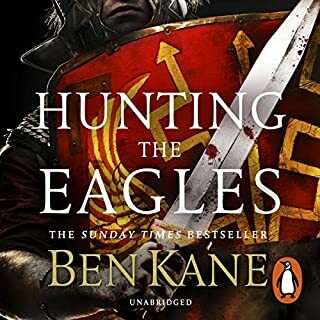 Pretty good book overall, just need to see the next and I trust it will be just as good a listen. it's was amazing, I feel this author actually trying to make this story a worth to listen for 👂. The voice acting is 10 out 10 itself but I feel that should be other voice actors that gives out the same energy as he did. 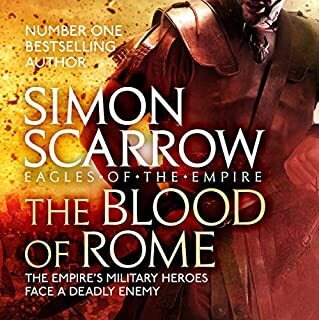 a good story with history in from the punic wars. really easy book to listen to in the car cant wait for the next one. A really intriguing story. I thought that the characters were really well developed and I really enjoyed the setting of the time period. Loving the mix of historical figures and fictional characters in these books. The author really does capture the feel of the period and evokes fantastic visions of the time. story is great and the narrator is awesome!I wish I could pronounce my 'R's' like him, plus I regularly shat myself when he screamed at the top of his lungs, bravo! 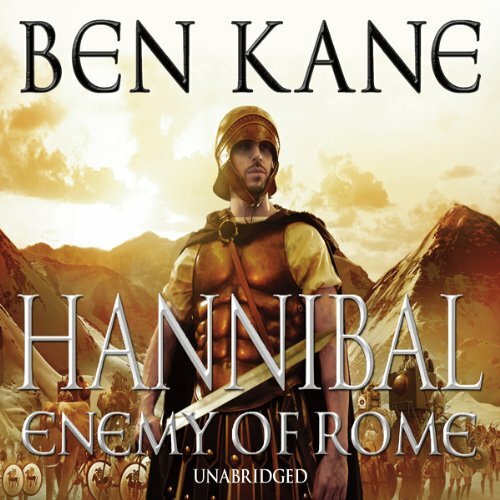 If you could sum up Hannibal: Enemy of Rome in three words, what would they be? The battle scenes - descriptively written and read magnificently with such expression, making you feel like you are there, in the midst of the battle with the soldiers. 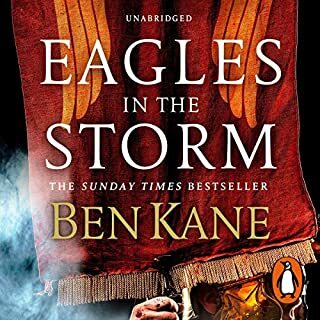 Highly recommend for those who love adventure books mixed with a historic account of Hannibal's attack on Rome. Can't wait to hear/read the others in this series. Amazingly written and read equally well.